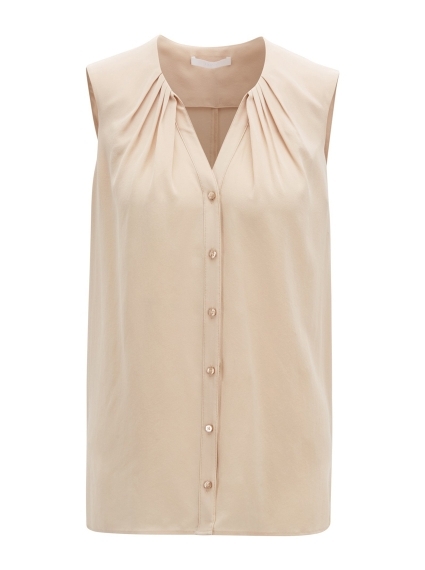 The lightweight Bossalia blouse by Hugo Boss is cut from pure silk with a sand-washed finish. 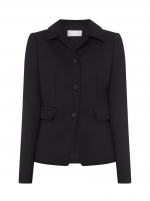 This sleeveless style buttons through the front to a flirty neckline with feminine gathering detail. 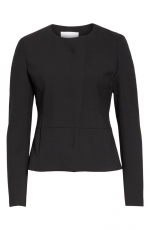 Style this feminine top with tonal trousers and mules for effortless elegance or team with smart separates for a cool and collected workwear look.